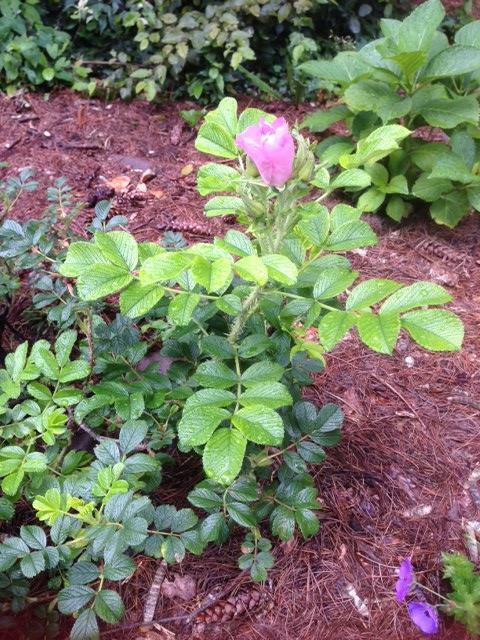 This lovely Rosa Rugosa plant is showing its first delicate pink flower. At the bottom right of the picture the first geranium flower is visible just peeking out. The flowers have come late after an unusually wet early summer. This entry was posted in barzanò, brianza, italy, poggioverde, trip to northern italy. Bookmark the permalink.